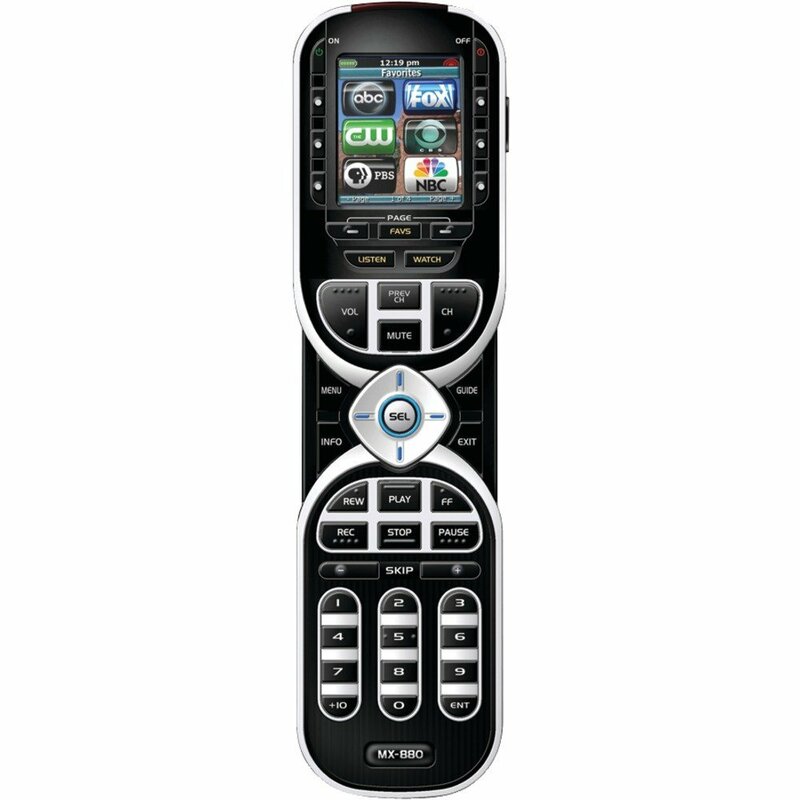 URC’s MX-880 remote is more than just your standard replacement device. With all it’s special features, you’re sure to have a remote control that’s tuned to meet all of your specific needs and comforts. With the proper program this remote is as simple as hitting one button to control an entire activity. Tunes cable box / DirecTV receiver to your favorite channel. After this “WATCH TV” command is sent, the remote control will display you favorite channel icons on the LCD screen. There is no need to switch screens to control volume, channels, or even source selection, making this remote control a client favorite.